Microtunnel Boring Machines (MTBM) Install gravity flow pipes that require accurate lines and slopes in poor soils. Microtunnel is a process that uses a remote control pipe. Microtunnel is developed by the Japanese in 1970s and are launched in the US medium term in 1980s. The Akkerman launched the first mud microtube system the year in 1995. Currently thousands of microchannel systems exist in the world. Microtunnelling projects are usually in the city. 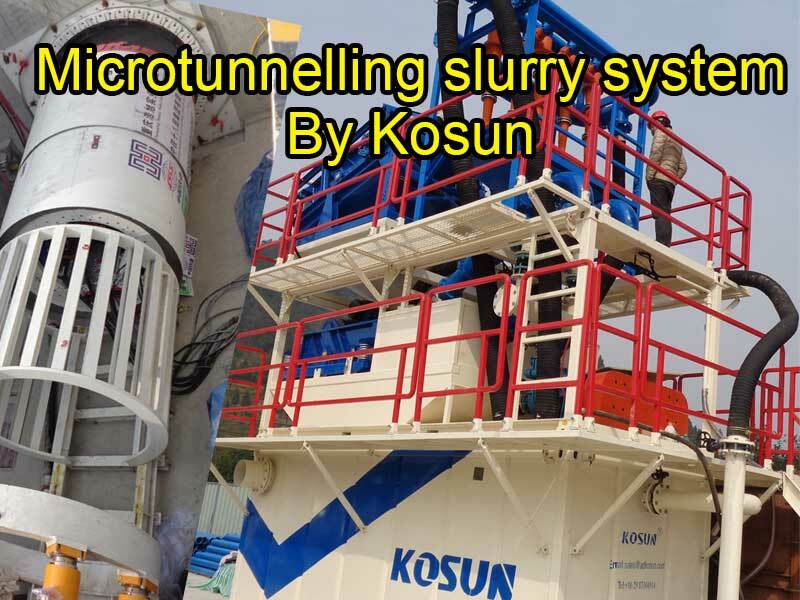 In this case, the mud system that matches the micro-tunnel is required to be compact and has a very small recirculation slurry system of different capacities. This mud system is often referred to as a “TBM slurry separation system“. Helicopter direct installation of underground pipeline products and slope tolerance. Standard center drive and face access, peripheral device driver MTBM size is 30-114 inches. (762-2896 mm) OD range. Soil excavation is carried out by injecting soil into the surface of the hole and the chips are forced into the slurry inlet hole of the MTBM crushing cone to circulate through the closed system to the separation device. The complete slurry microtube system consists of a pipe-specific MTBM, a control vessel, a steering system program, a remote hydraulic power module, a keyhole crane frame, a series of pumps, a laser, a water cooling tank, a slurry trunk and additional piping, Material separation plant. The launch shaft is fitted with a pit seal to prevent shaft drive and project-specific thrust block distribution from gravity. The micro-tunnel operation is managed by an operator in a ground control container located next to the shaft. According to customer demand, Branch Sheng will be based on the actual needs of customers, customers recommend the most suitable products for customers to provide reliable, high-quality products. Branch Sheng will be dedicated to domestic and foreign customers with strong technical strength and improve after-sales service system. Coase looks forward to working with you for consultation and cooperation! Coase is confident in providing more cost-effective equipment and mud systems in 2017. The micro-tunneling system is a remote control method for driving concrete, steel and CTP pipes under the surface. The system is mainly used in major roads, railways, subway lines, airports and river access areas; open excavation risk areas. In these areas, drinking water, sewage, natural gas, connected tunnels and similar works can be carried out by our miniature tunneling machines with diameters between 800mm and 3000mm. In the micro-piping system constructed by pipeline laying, micro-tunneling tunneling and impact equipment automatically promote the pipeline in the mining area. When the cutting head is pushed by the hydraulic thrust system, once there is enough space to push the other pipe, connect the new pipe; the thrust program continues. The micro-tunnel machine distributes the soil by cutting and grinding the drill bit, and then the system injects pressurized water to make the material a liquid slurry. The liquid slurry is absorbed by the discharge pump present in the system and is brought into a discharge tank placed on the surface. The traditional miniature mining method usually relies on the use of lifting tubes as it will push thrust from the jacking station to the drill bit before entering the line. In this case, the pipe selection is only related to the ground conditions, since the method does not require the use of highly structured pipelines. This versatility provides customers with more product pipeline options based on existing ground conditions, cost, traditional preferences, and matching with existing infrastructure. 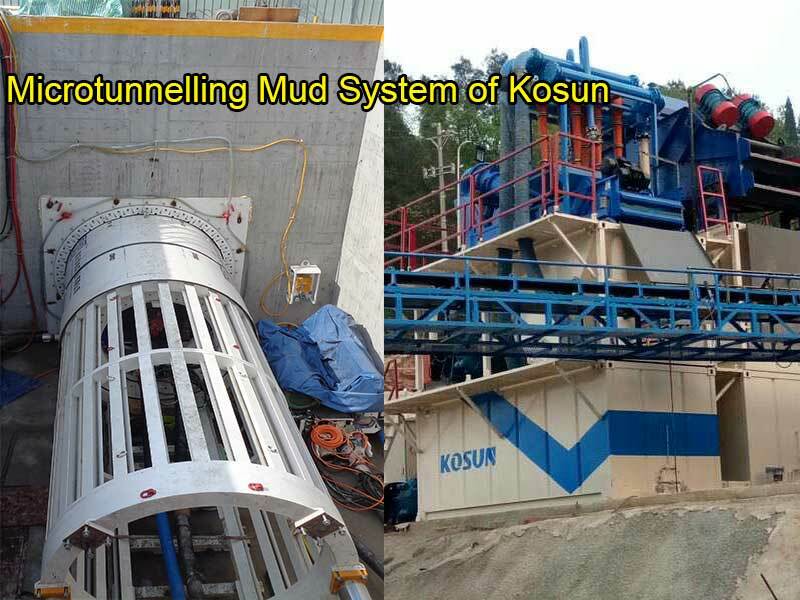 Microtunnelling Mud System of Kosun Manufaturer with high quality and best after sale service that is well recognized by clients all over the world. Welcome to contact us if you need!